The U.S. Small Business Administration’s Illinois District Office says it has named Cornelius Griggs, owner of Chicago’s GMA Construction Group, as the 2019 Illinois Small Business Person of the Year. Each year, the SBA honors small businesses and small business advocates across the country who are creating 21st-century jobs, driving innovation, and increasing America’s global competitiveness. SBA Administrator Linda McMahon, in announcing this year’s Small Business Person of the Year recipients, has invited the winners from all 50 states to attend ceremonies in Washington, D.C on May 5-6, where the 2019 National Small Business Person of the Year will be named. Additionally, Griggs and other Illinois small business owners will be recognized at the SCORE Illinois Small Business Awards on May 16 at the Union League Club of Chicago. 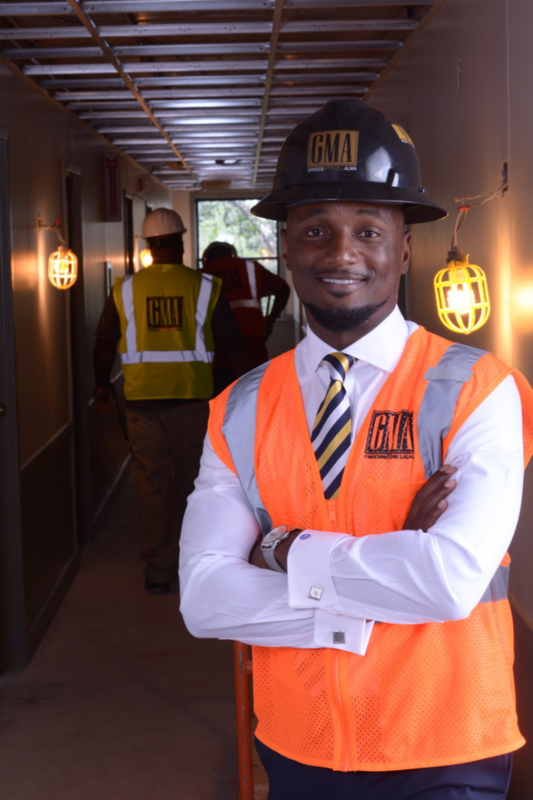 A military veteran and Army Commendation Medal recipient, Griggs founded GMA Construction in 2009 out of his home office. Today, the firm, which provides construction and design-build services in sectors including education, health care, and affordable housing, has grown to occupy a 5,000-sq. ft. office in Chicago’s Bridgeport neighborhood and employs 86 people. Sales have increased from $1 million in 2015 to $17 million in 2018. Assistance from the SBA has helped GMA thrive, the SBA says in a statement. Two SBA-guaranteed loans in 2016 and 2017 allowed the company to upgrade software and office space, hire project-specific personnel, and invest in training resources to comply with industry standards. Griggs also graduated from SBA’s Emerging Leaders program in 2016, dedicating seven months to developing a strategic growth plan for his business. Griggs added that assistance from Emerging Leaders instructor Adam Callery and SBA staff members such as Illinois deputy district director Mark Ferguson helped GMA grow and prosper. In addition to the Small Business Person of the Year, Rosemary Swierk, owner of Direct Steel, a general contracting and construction firm based in Crystal Lake, was named as one of two Illinois Rising Star Small Businesses. Each year since 1963, the president has issued a proclamation calling for the celebration of National Small Business Week, which is May 5-11 this year. Networking events, trainings, and other programming to help prospective and current small business owners will be held that week at the SBA Illinois District Office (500 W. Madison, Suite 1150, Chicago) and other locations throughout Chicagoland. Visit www.sba.gov/il to learn more.